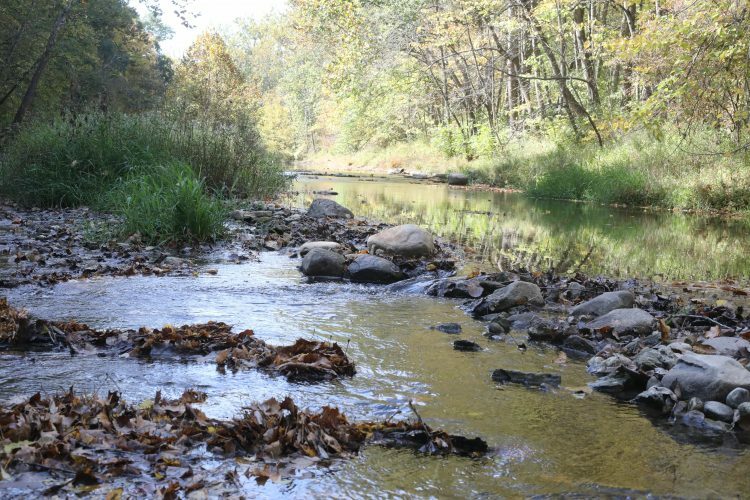 The theme for this year’s fall foray, in Miami County in west-central Ohio, was “Summer in October.” Both days were warm and sunny. A week of rain showers made everything very green by the time we arrived. All the collecting sites we visited are preserves of the Miami County Park District. OMLA at Miami County. October 1, 2016. Miami County is entirely within the glaciated portion of Ohio. The county is covered with till deposited by the Wisconsinian glaciers, which retreated from the area about 20,000 years ago. The county has a few outcrops of bedrock, which is primarily limestone and dolomite. 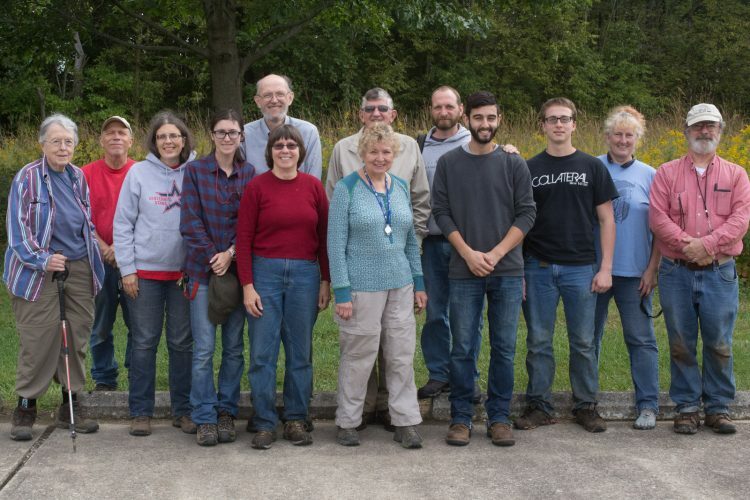 Our group of 13 forayers met Saturday morning, October 1, at Charleston Falls Preserve. This 216-acre preserve features a very scenic 37-foot-high spring-fed waterfall, hardwood forests, cedar barrens, rock outcrops, prairies and wetlands. The preserve is in the southern part of Miami County. not far from Tipp City (formerly known as “Tippecanoe”). After lunch at Charleston Falls, we spent Saturday afternoon in northern Miami County at Garbry Big Woods Sanctuary, an undisturbed, 100-acre wet beech-maple forest with magnificent tall trees, vernal pools and a variety of particularly interesting habitats, especially for mosses and liverworts. Judy Feinstein, a naturalist with Miami County Parks, met us there to share her knowledge and show us a number of interesting places. 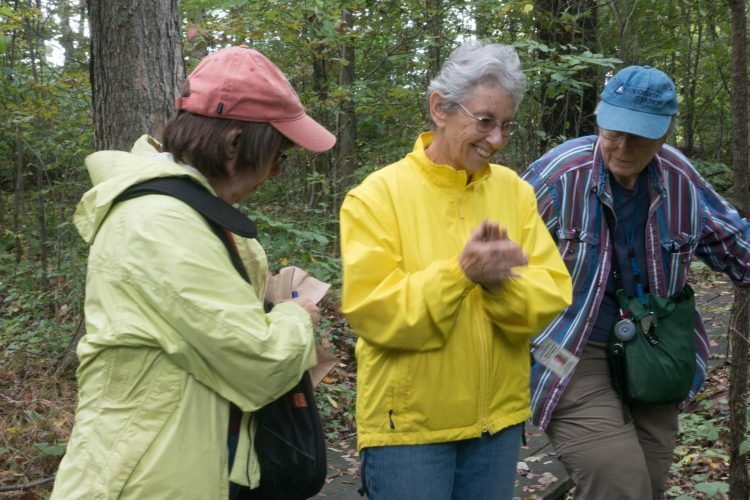 Judy, Janet and Diane enjoy seeing mosses at Garbry Woods. As evening approached, we drove about 5 miles from Garbry to the Piqua Comfort Inn. The hotel had graciously renovated all the rooms in the weeks before the foray. 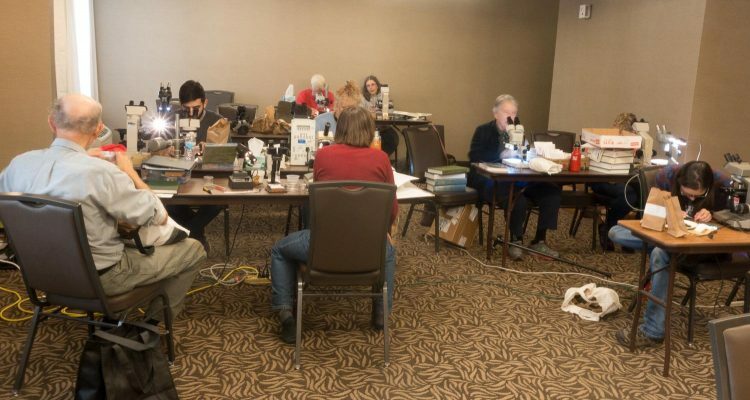 We filled the spiffy new conference room with our books and microscopes, ordered in a stack of huge pizzas from Beppo Uno restaurant (highly recommended) in downtown Piqua, and worked on our collections as long as anyone could keep their eyes open. Sunday morning we caravanned through Piqua straight west to Stillwater Prairie Reserve and the adjacent Maple Ridge Reserve, both of which are along the Stillwater River in western Miami County. The 260-acre Stillwater Prairie features a variety of open areas, woods, and wooded floodplains, as well as limestone terraces along the Stillwater River. The 100-acre Maple Ridge site is a primarily wooded area with hills and ravines, with some exposed bedrock along the Stillwater River and in a tributary creek bed. 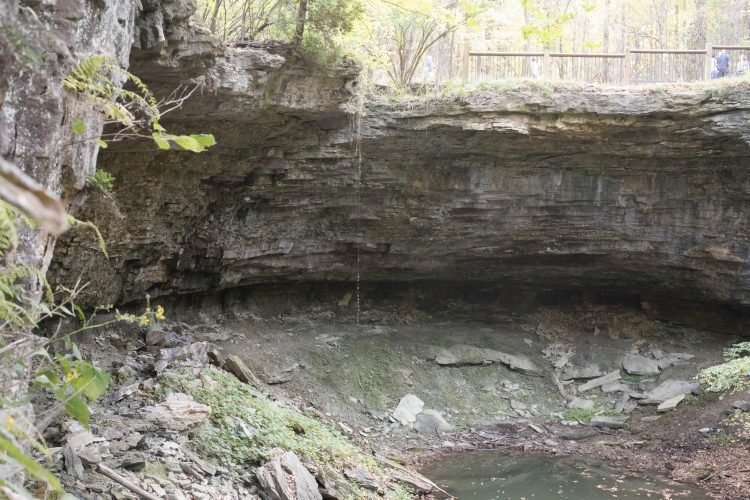 We’re especially grateful to the Miami County Parks, not only for their help in organizing the foray, but also for providing us with fine places to collect. Our foray experiences remind us of the great value of our park districts, which identify and preserve important areas of biological diversity that otherwise might be inaccessible to the public or destroyed by disturbance. 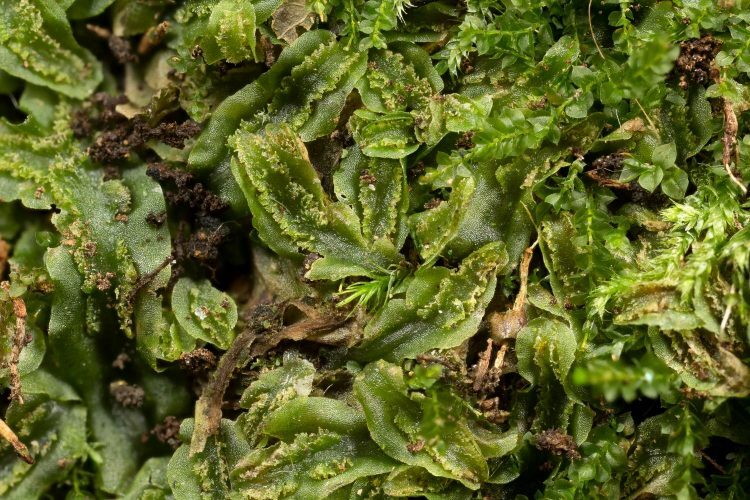 Participants on the foray observed 41 moss taxa (33 of which are new county records) and 5 liverwort species. 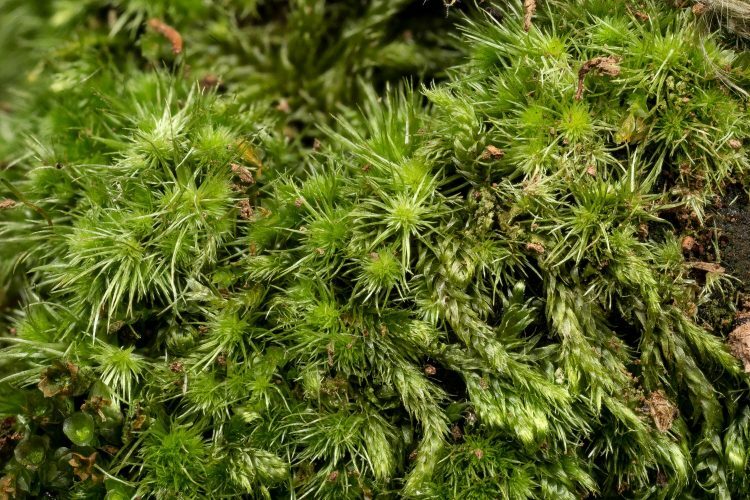 A noteworthy find from Garbry Big Woods Sanctuary is Brachythecium velutinum, a woodland species that has been reported in Ohio from only three other counties: Darke (adjacent to Miami), Erie, and Lawrence (at the southern tip of Ohio). Another interesting species collected at Garbry is Ephemerum crassinervium, which is reported from 4 other Ohio counties along a roughly east-west line: Preble, Greene, Ross, and Hocking. These minute plants often go unnoticed. As the name suggests, this species has a very short life cycle, in our area typically found from late fall until early spring. The plants mature quickly and release spores that will germinate the next fall, thereby taking advantage of disturbed habitats, such as fallow fields. 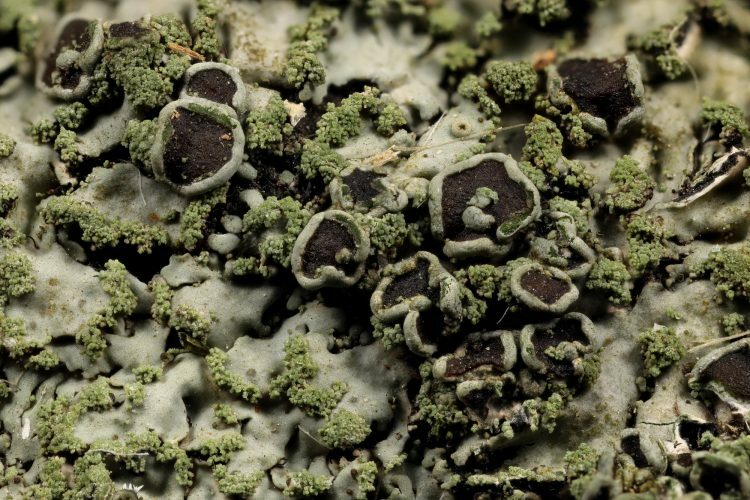 A total of 40 macrolichen species were collected or observed during the 2016 Fall Foray in Miami county. Twenty-two of these were new county records and the remainder were updates of existing records. Most were common species but 3 deserve note. Punctelia perreticulata, found at the Stillwater Prairie Preserve, is known from only one other location in Ohio, Buzzardroost Rock in Adams county. Melanohalia exasperata, found at Charleston Falls, is known from 5 old records and one recent record from Athens county. Parmotrema margaritatum, also collected at Charleston Falls, is known from 5 old records but only one recent record in Muskingum county. 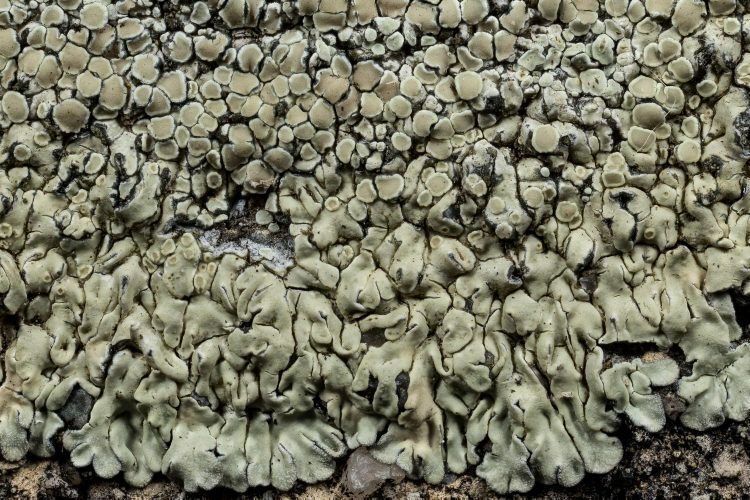 For further information about this most excellent foray, including moss and lichen species lists, look in the December 2016 volume of the Association’s newsletter, OBELISK.